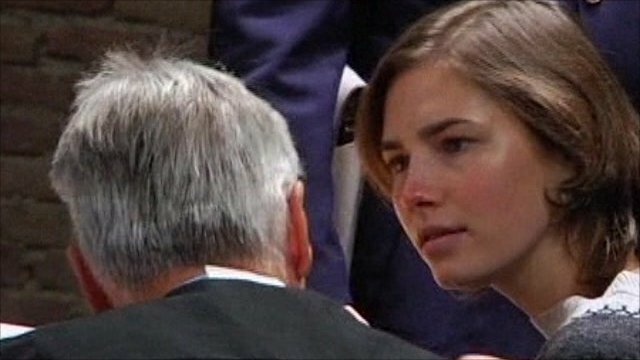 Knox says her conviction an 'enormous mistake' Jump to media player Amanda Knox tells an appeal court her conviction for murdering Meredith Kercher was an 'enormous mistake'. 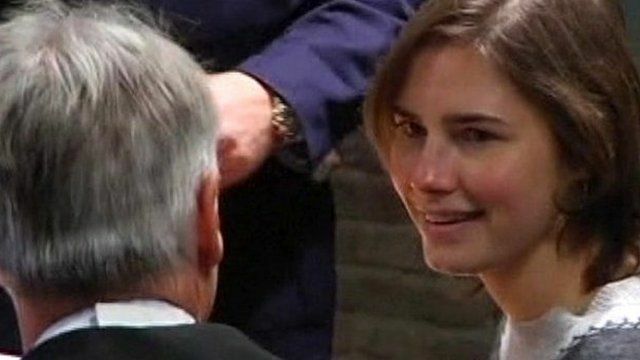 Amanda Knox 'pleads' for mercy Jump to media player American Amanda Knox has arrived in an Italian court to continue her attempt to overturn her conviction for the murder of Meredith Kercher. Knox starts Kercher murder appeal Jump to media player Amanda Knox and her former boyfriend are starting an appeal in Italy against their convictions for the murder of British student Meredith Kercher. 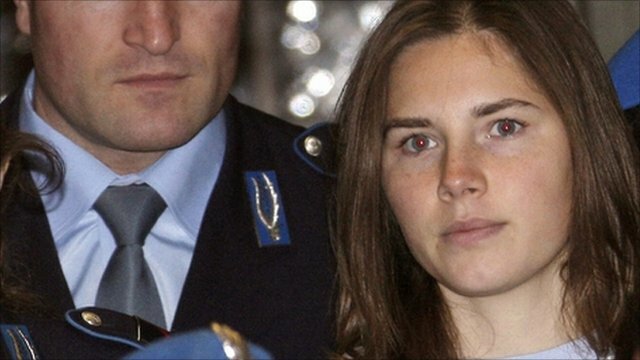 Book tells of Knox's 'naivety' Jump to media player Amanda Knox, the American convicted of murdering a British student in Italy, is quoted as saying in a new book she was "guided for too long by stubborn naivety which created confusion". The American student convicted of murdering British student Meredith Kercher has told an appeals court in Italy she is the innocent victim of an "enormous mistake" and her life has been "broken" by three years in jail. Last year Amanda Knox was convicted of murder and sexual assault and is serving a 26-year sentence. The BBC's Rome correspondent Duncan Kennedy reports.